Cheltenham Design Festival: Designing to make people smile. By Ryan Crawford, Designer at Better. Having recently returned from the 2013 Cheltenham Design Festival, it’s safe to say I’ll be looking to return next year. The festival itself was focussed around the theme of ‘Who cares about design?” and had some inspiring talks, that filled me with the confidence, passion and urge to create innovative, fresh and unexpected designs that make people smile. I have always believed that good design should make people happy and leave them feeling motivated when they interact with it. Ultimately that’s how we, as designers, engage with our audiences and build relationships. If a design has no character or soul, then it’s cold, lifeless and meaningless. Who is going to engage with something so uninspiring? The talk that highlighted this sentiment the most, and reinforced the importance of soul and happiness within design, was given by Bruce Duckworth, founding partner of Turner Duckworth design consultancy. Throughout his talk he spoke of engaging with audiences by consistently delighting them. He showed the audience a Christmas card that was designed by Turner Duckworth with the intention of sending it to their suppliers and clients. The brief was given to both their London and San Francisco studios with the remit that it should incorporate somehow both offices. The solution was, in my eyes, brilliant. The recipient was presented with a card that when rotated revealed the London skyline and the San Francisco skyline. When I first saw the card, I didn’t instantly see the beauty of it, however after a closer look I saw the unexpected idea. 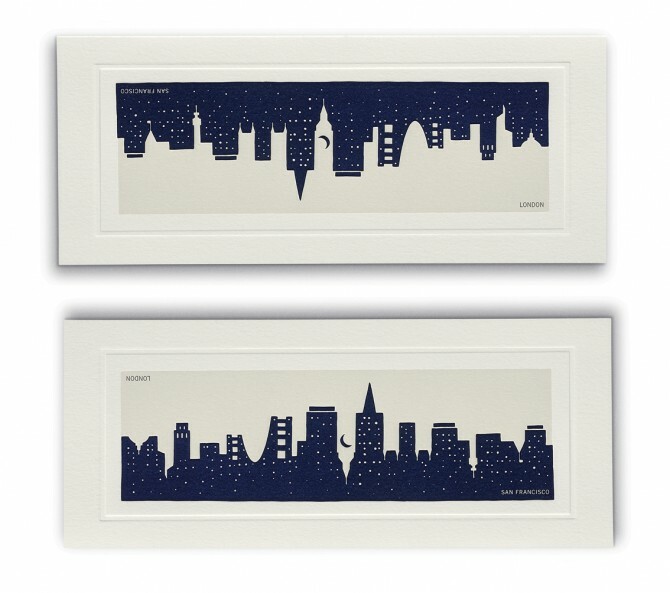 The design uses very clever but simple negative space to create both city skylines. What I loved most about the design was that I didn’t instantly see the clever idea behind the Christmas card. However, when the card rotated to reveal the clever and simple idea, it made me smile and engage with the talk even more, as I was instantly made more curious to discover more about Turner Duckworth. In my opinion this is how all design should perform. It creates engagement, and builds relationships. It gave me extended confidence that the way I see design was reinforced by a world leading design consultancy that are achieving results following this approach. In my opinion design should be about creating experiences and engaging an audience through their experiences. I’m not saying that this is the only way to approach all design, however it’s an avenue that works and proves very successful. I believe there is a lot of design out in the world that lacks thought and imagination which results in an end product that doesn’t engage. 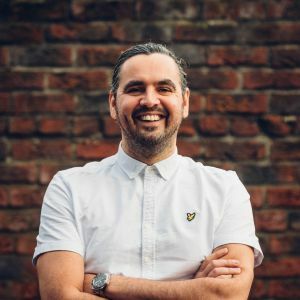 Although in contrast I do believe that it’s important that your client is open minded and creative and trusts you as an agency, otherwise the creativity and idea gets diluted down to something that no one will truly engage with. Bruce Duckworth spoke of the Turner Duckworth design approach ‘Delightful Simplicity’ and illustrated the execution of this by showing the audience a packaging design for Waitrose Honey. He showed how simple the packaging could be with the design displaying only the words “Waitrose Honey” and described this as simplicity in its purest form – there was nothing else to it other than what the audience needed to know. He then changed the slide to reveal the actual packaging where the team at Turner Duckworth had made a small design addition transforming the ‘e’ in honey to a bee. This highlighted how simplistic packaging design can be when teamed with a clever hook, successfully engages with the consumer. This instantly changed the emotional reaction to the design for everyone in the audience making them smile and engage with the design on a much more emotive level. He explained that this design now subconsciously engages with the audience in a stronger way and forms stronger positive opinions of the Waitrose brand. The physical reaction of the audience was an example of the effects this packaging would have on the consumer. In my opinion it’s an example of simple and effective customer engagement at its finest. When we’re out shopping at the supermarket, how much packaging do we really engage with? I feel most of it is considered design that works, but could it (and should it) be more? Are we really pushing branding and challenging an audience in order to keep them intrigued? I don’t think we are, there’s a lot of safe design out there, however who am I to say it doesn’t work. It does work, otherwise these brands wouldn’t be making millions of pounds and retaining the same customers. However are these customers truly engaged with that brand, and is there a long lasting customer relationship. Only brands and their customers can have the answer to that. 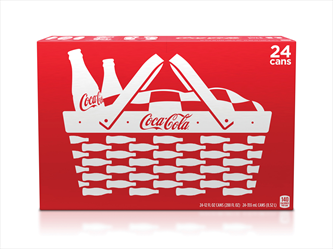 The Coca Cola case study by Turner Duckworth is an example of how pushing branding beyond what is safe has incredible results for the brand and the relationship with the consumer. 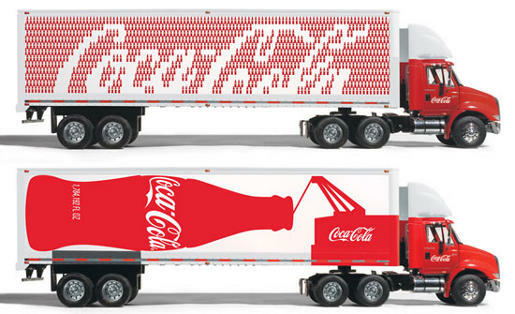 The following images are a case study of work created for Coca Cola North America by Turner Duckworth. The team were asked to reinvent the visual side of the Coca Cola brand, but retain strong, identifiable brand recognition. The above image is a visual representation of how Coca Cola appeared in North America before Turner Duckworth began working with them. Although the brand was very consistent it had become cluttered and over engineered which in turn gave it a dated aesthetic. Turner Duckworth applied their ‘Delightful simplicity’ approach to the brand refresh, stripping back the brand elements to their most basic forms. However, Bruce Duckworth again discussed how simplicity alone is not enough, and that what was needed was the addition of character and personality. These examples are just a small handful of how they continually, creatively executed the Coca Cola brand by focussing on coherence, as opposed to tight consistency which was how the Coca Cola brand was previously treated. 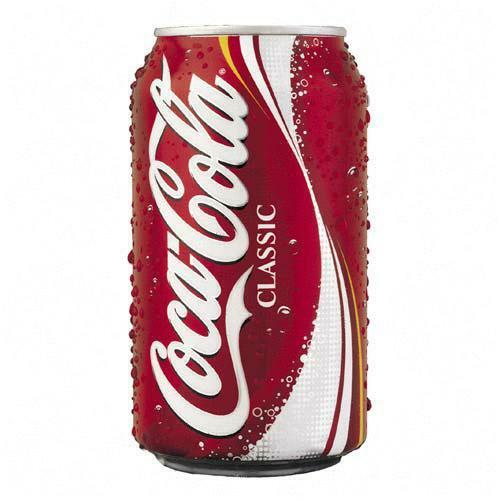 As a result sales of Coca Cola significantly increased following this brand refresh, and sales are continuing to climb due to the evolutionary work Turner Duckworth continue to produce. Sales did significantly increase, and so did the relationship with the consumer improve and become a stronger bond. As the brand is creatively coherent, nothing looks the same for long. Designs are regularly changed and updated to keep the brand fresh and unexpected. This therefore creates packaging that is limited edition, their physical product becomes a collectible item. They now have an audience that is emotively engaged with their brand. For me, this case study and the others presented show how simplicity and original unexpected creativity forge strong people based relationships for brands. I believe design is all about making people smile and creating a happy brand experience. When we do this as designers, and we follow our own design philosophies, we can create great timeless work. The inspirational mindset that I gathered from this talk has already started to have a strong positive impact on the way that I will approach creative briefs in the future. Although I have always been passionate about simplicity within design, Bruce Duckworth has created an enhanced realisation that simplicity needs to be teamed with a clever, delightful and engaging hook.